Coloured or Virgin hair extensions? Indian or Russian hair extensions? Researching human hair extensions can be very daunting, particularly if you are new to them. There’s lots of information on the web but, unfortunately not all of it is accurate. If you have professional hair extensions applied and the hair used is excellent quality, having hair extensions can be a wonderful experience, giving you a great new look and boosting your confidence. However, a bad set, either through poor application or poor quality hair, can be upsetting and stressful, leaving you feeling self-conscious, disappointed and in the worst cases, with damaged hair. In this section, our aim is to set straight some of the myths surrounding hair extensions, giving you enough knowledge and understanding to make an informed decision. Remy is a term you’ll hear a lot when researching human hair extensions. Remy simply means that the cuticle is present and all the hair has the cuticles running in the correct direction – root to tip. If any of the hair is running in the wrong direction – tip to root – the hair will be knotty, matted and totally unmanageable. Cuticles are tiny, overlapping cells which are usually 5-12 layers deep. A good cuticle layer keeps the hair strong, shiny and manageable. All highest quality human hair extensions are Remy but if the hair hasn’t been handled with a great deal of care and attention the cuticle layer can become damaged and the quality of the hair will be diminished. In other words, all the best hair extensions are Remy but not all Remy hair is good. 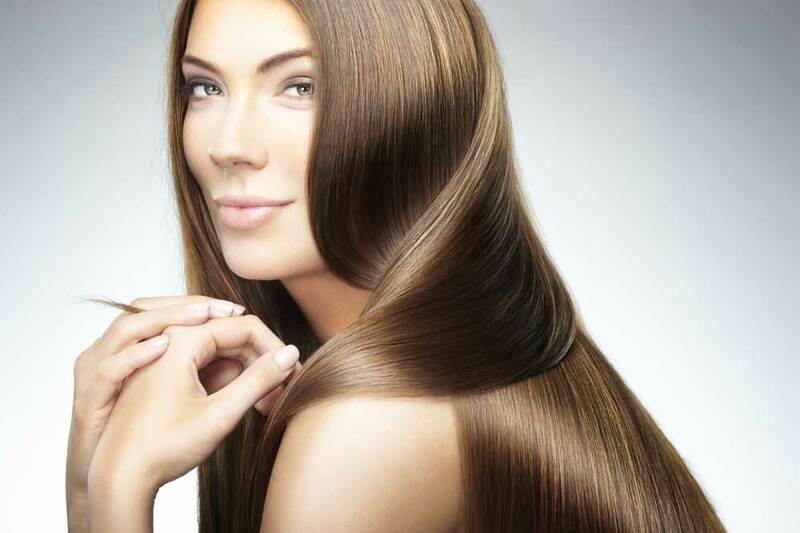 Because of it’s excellent qualties and longevity, hair extensions specialists only use the best Remy hair. Non Remy hair has had the cuticle layer stripped by soaking it in acid. It is mass produced without any of the care and attention needed to produce Remy hair and is therefore much cheaper. Without the cuticle layer the hair is dull, brittle and dry. Obviously no one wants hair that looks like this, so the poor quality is disguised by dipping it in silicone. This temporarily adds shine and makes the hair feel soft and silky. However, after non-Remy hair has been shampooed a few times the coating washes away and the hair returns to its original state, matting, unmanageable, dry and dull. It is difficult to tell non-Remy and Remy hair extensions apart until they have been washed, and because of the price difference, non-Remy hair is often sold as Remy hair. Despite its poor quality, non-Remy hair extensions are useful if you only want to wear them on a very temporary basis and are often used to make clip in extensions. They may not be the best hair extensions but they are a cheap and quick option. At NuTress we are professional hair extensions specialists and guarantee to apply only genuine Remy human hair extensions and Enhancements. Virgin Hair Extensions are simply extensions made using hair which has never undergone any chemical processing e.g. colouring or perming. As a result the hair tends to be softer, shinier and more resilient. However, as you would expect, if the donors hair is course, dry, etc, then the extensions will be course, dry, etc. For this reason it is vitally important to use a reputable supplier who only deals in the finest quality Virgin hair. Virgin Russian hair extensions are known to be the very finest available but are costly and available colours are very limited, they are usually only available in dark brown to light brown. Any colours outside this spectrum are highly unlikely to be Virgin. Coloured hair extensions are available in black, white and almost every other colour in between. When handled with care, and not over processed, coloured hair extensions can be just as durable, soft and shiny as Virgin hair. Since Virgin hair only tends to be available in dark colours, coloured hair extensions are by far the most popular, practical and available. The way the hair is produced and the amount of processing it undergoes affect the quality far more than whether or not it is Virgin or coloured.